The Mint Lip Balm feels as refreshing as it smells with organic mint essential oil. Our handmade, all natural lip balms are ultra moisturizing to protect your lips against the elements. Whether you need to re-hydrate or maintain your lips, these are the lip balms for you. With a rich base of coconut oil, Canadian beeswax, cocoa and shea butters, our lip balms will glide on smoothly and stay creamy, never sticky or greasy. We promise you won’t be left with a bad taste in your mouth; we do not add any synthetic flavour. For our customers who are nuts about coconut, we offer this creamy Coconut Lip Balm. 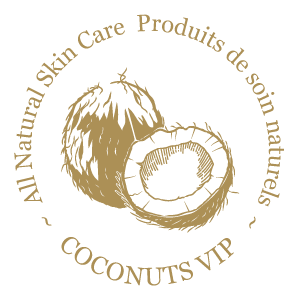 In addition to the organic coconut oil in the base of the lip balm, we’ve enhanced it with natural coconut flavour. Our handmade, all natural lip balms are ultra moisturizing to protect your lips against the elements. Whether you need to re-hydrate or maintain your lips, these are the lip balms for you. With a rich base of coconut oil, Canadian beeswax, cocoa and shea butters, our lip balms will glide on smoothly and stay creamy, never sticky or greasy. We promise you won’t be left with a bad taste in your mouth; we do not add any synthetic flavour. The Pink Grapefruit Lip Balm offers a truly invigorating scent with its fresh citrus notes. Our handmade, all natural lip balms are ultra moisturizing to protect your against the elements. Whether you need to re-hydrate or maintain your lips, these are the lip balms for you. With a rich base of coconut oil, Canadian beeswax, cocoa and shea butters, our lip balms will glide on smoothly and stay creamy, never sticky or greasy. We promise you won’t be left with a bad taste in your mouth; we do not add any synthetic flavour. We’ve paired two complimentary flavours to offer this exquisitely light and fruity lip balm. Our handmade, all natural lip balms are ultra moisturizing to protect your lips against the elements. Whether you need to re-hydrate or maintain your lips, these are the lip balms for you. With a rich base of coconut oil, Canadian beeswax, cocoa and shea butters, our lip balms will glide on smoothly and stay creamy, never sticky or greasy. We promise you won’t be left with a bad taste in your mouth; we do not add any synthetic flavour. Soothe your lips with the delectable scent of organic vanilla extract. Our handmade, all natural lip balms are ultra moisturizing to protect your lips against the elements. Whether you need to re-hydrate or maintain your lips, these are the lip balms for you. With a rich base of coconut oil, Canadian beeswax, cocoa and shea butters, our lip balms will glide on smoothly and stay creamy, never sticky or greasy. We promise you won’t be left with a bad taste in your mouth; we do not add any synthetic flavour.